I was recently nominated by my fellow Stay At Home Dad and Dad Blogger friend R.C., who writes at Going Dad, to participate in a challenge called Five Photos, Five Stories, in which I post a photo and story (fiction or non-fiction) daily for five consecutive days. (Note: I had good intentions to do a post on five consecutive days but I chose time with my kids and sleep over blogging. And I’m okay with that.) It sounded like something that would be a fun to share with my loyal readers here on my blog. 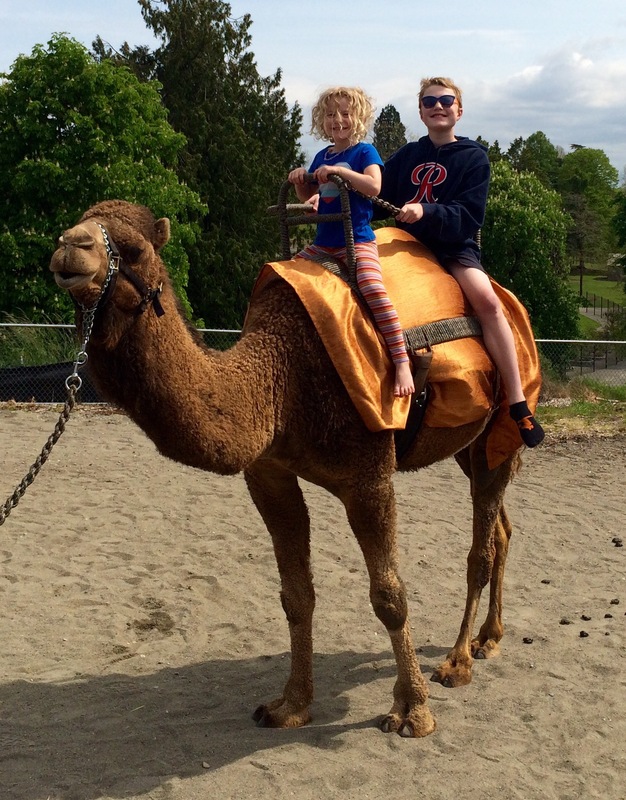 Today I nominate my friend and fellow SAHD Chris, who blogs at DadNCharge. This picture is just over two years old and I chose it for today because that lovely little girl giving her daddy (ME!) is celebrating her fifth birthday today. 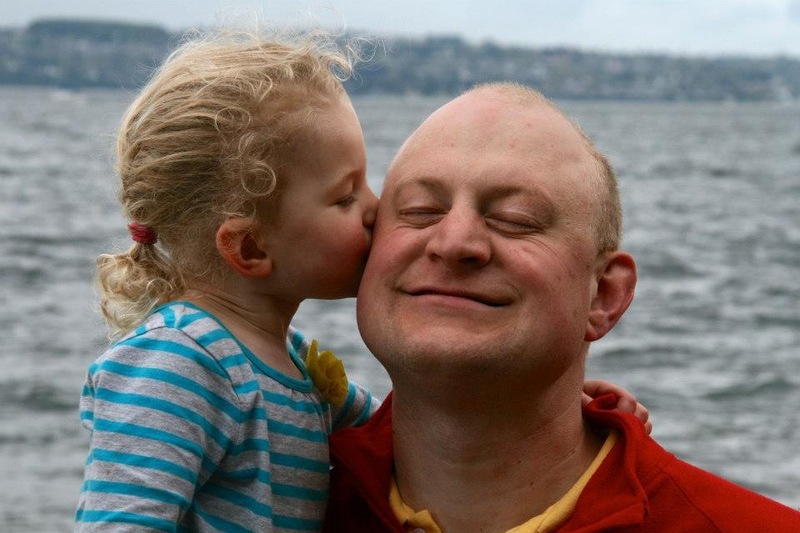 There really is no story behind this picture other than my daughter decided to plant a kiss on my cheek when we were at Titlow Beach on Puget Sound in Tacoma, just south of the famous Tacoma Narrows Bridge. My mom happened to be visiting from out of town and thankfully had her camera at the ready. This wasn’t a staged shot and I didn’t even know that this picture existed until months later when I happened to see it on my mom’s Facebook page. All I can say is that I love everything about this picture. In fact, I’m going to simply let this picture carry its weight in words (it’s worth a thousand of them, right?) and gracefully bow out by wishing my sweet and sassy little girl a happy birthday. I love you with all of my heart, for ever and ever. Over the last couple of months I’ve been trying to really pay attention to my job more than the distractions in my iPhone. Since I’m nearing the end of my 14th school year as a Stay At Home Dad that means my “job” is really my kids. I realized that I had been prioritizing such worthy endeavors like Facebook, blogging, Twitter, Trivia Crack, Words With Friends and the latest sports talk on the radio or the ESPN app. Even though I justified it as only a few minutes here and a few more minutes there, it added up to a less than satisfactory job performance in my own mind. I don’t want my children to think that they are less important than whatever was holding my attention on my phone. As a result of being more present and mindful in my day-to-day life I’m learning a few things that perhaps I’d been too distracted to fully appreciate before. Farts are Funny. Yeah, I went there right away. Couldn’t hold that one in any longer. (Get it?) Not my farts, mind you. But when my kids let one fly it’s pretty much the most hilarious thing around. How many times have you seen a princess/ballerina playing with her baby dolls pause her play to rip one? I have on an almost-daily basis. Not only that, then she has to comment about how loud it was or how her tummy suddenly feels better. No shame at all. You’d think she was a fifth grade boy, not a precocious almost five year old. Yeah, those of you who know me in real life know that these apples didn’t fall far from their tree. I love you, Daddy. While my almost two year old isn’t saying those words yet she is able to communicate it pretty effectively by her desire to snuggle with me. I used to use that snuggle time to play on my phone. Lately I’ve just been snuggling her, basking in her unconditional love and adoration and smelly morning breath. There’s something so special about those first few moments after I take her out of her crib in the morning; how she lights up with the biggest smile and literally dives into my arms, burrowing a hole into that spot where my neck and shoulder meet. I’m soaking that up as I know it’s not going to be like that forever. 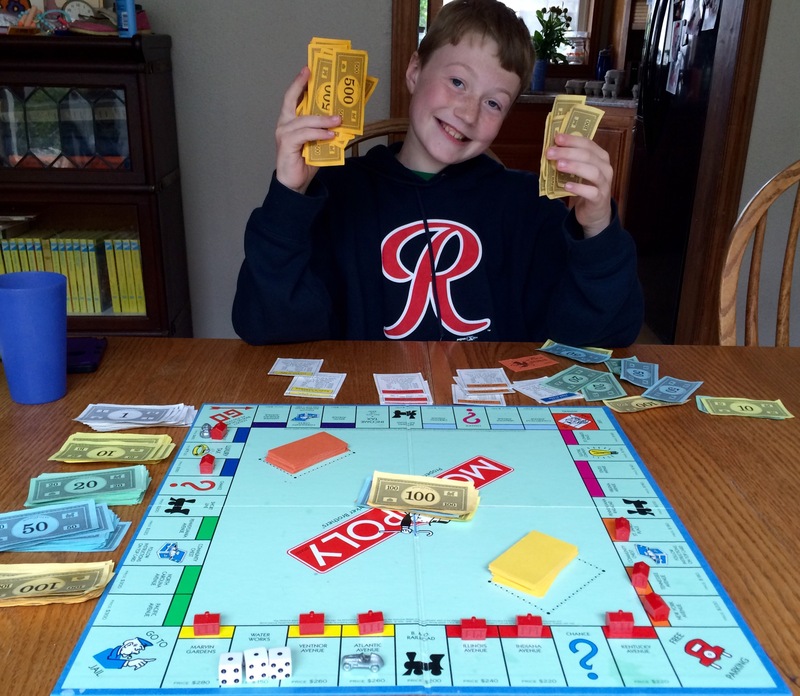 s ago my son crushed me in a game of Monopoly, proudly bankrupting me as he ended up with more money than the bank. I love the quality time we spend together playing games, especially when they earn a well-deserved victory. That victory smile and sense of accomplishment is terrific. What do you want to do? Instead of trying to be some sort of super-intuition daddy I just ask my kids what we should do today. One week it meant going to the zoo three days in a row. It’s good that we live only ten minutes away and have a membership. Sometimes we stay home and bake cookies, put together lots of puzzles, read lots of books, color, play games, or go to the park or open gym at the YMCA. But in whatever we’re doing we are doing it together and I’m keeping my phone in my pocket or, gasp, even in my backpack/diaper bag. I’m saddened to see so many parents missing out on what their kids are doing at the park or indoor play areas because they’re paying attention to their phones instead. I’m that parent who is awkwardly playing “grounders” with my kids on the play equipment or climbing up the tall slide after my kids have asked me to join them. We even go to the beach close to our house for the sole purpose of throwing rocks into the water. Daddy, do you really know all of these things or are you just making it up? Seriously. Come on, have a little faith, you little stinker! 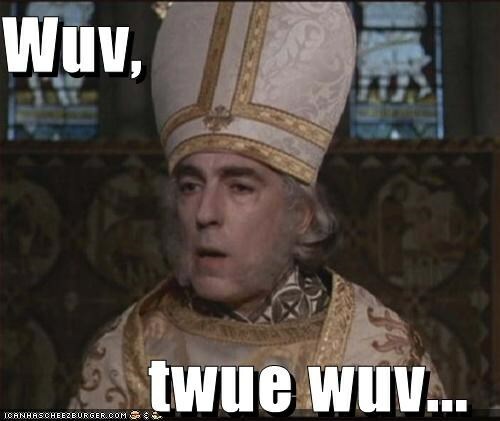 Classics made hilarious by inserting the word toot at opportune times. Toot Toot. On a recent road trip I was mindlessly playing on my phone while my wife drove and our kids kind of passed the time away, not really doing anything. After her prompting (I love you, honey! ), I found some board books that I keep in the car for my almost two year old and began to read them aloud. Only I changed one word as I read them. I added the word “toot” (as in, fart) in place of the word “whistle” in the book Whistle for Willie. I know, it’s kind of juvenile, but, like I wrote above, farts are funny. And you have to know your audience. It’s kind of like playing Mad Libs but with well-known children’s books by beloved authors like Eric Carle, Ezra Jack Keats and Margaret Wise Brown. 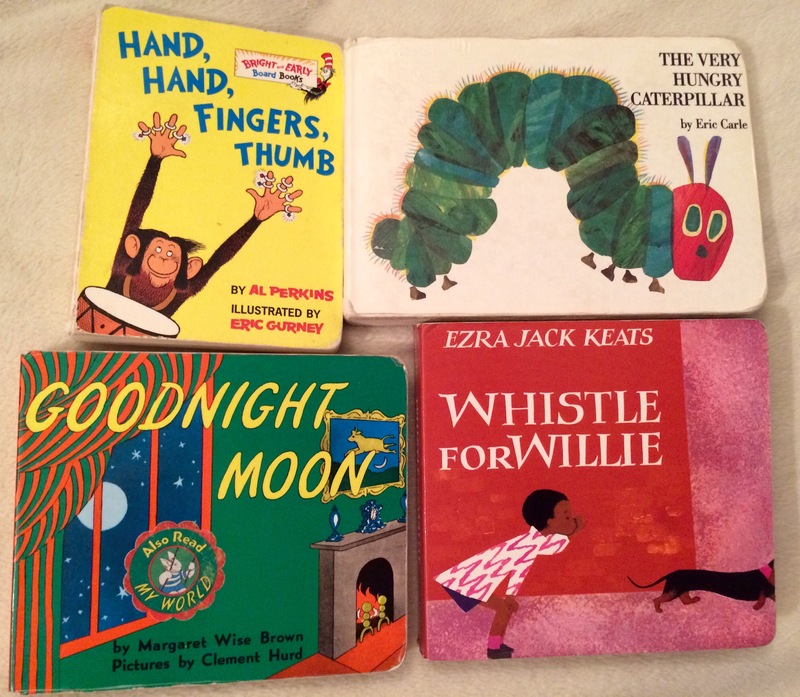 My kids were cracking up when I read Goodnight Toot, The Very Tooty Caterpillar and Hand, Hand, Fingers, Toot. Of course, now my daughter wants me to read like that all the time. I hope this passes quickly. Slow Down. Sometimes Most of the time I need to just slow down and let my kids be kids. Let their natural curiosity explore the world around them. Just a couple of days ago this point was driven home for me by my little girls. We were walking back to our van after playing in the Open Gym at the YMCA. My four year old was being kind of pokey and I was absentmindedly asking her to move faster and hurry up. I was already thinking ahead to trying to get a few chores done at home before I had to get my 15 year old from school in an hour. Only then did I notice what was making my daughter so slow. 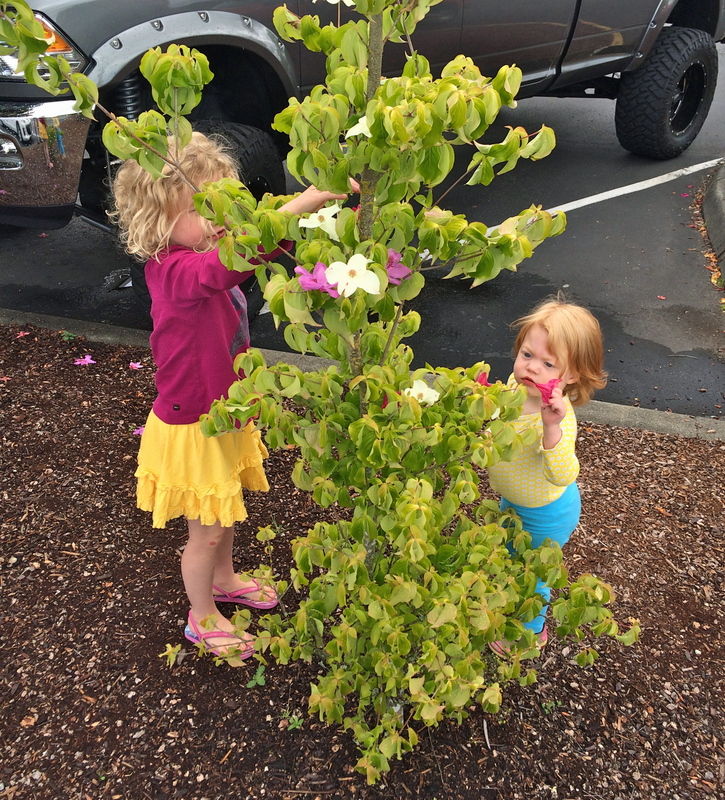 She was carefully picking up blossoms that had fallen from one of the shrubs and decorating a smaller shrub. Pretty soon my almost two year old joined her big sister and the two of them happily decorated the smaller bush like a Christmas tree. What once was a bush with only a small number of white flowers soon brandished pink, red and purple blossoms. It was fun to see them playing together like that and I was reminded once again of how much I have to learn from my own children. “Can I give you a hug?” It was a simple question, really, spoken by a person who was trying to extend compassion to someone who was hurting. Yet, simply asking that question meant taking a huge risk, possibly putting a young career in jeopardy. It was 1996. I was barely 24 years old, just over a month into my second year as a teacher. I had gotten to school early that morning to prepare for my first hour science class. It was 7:15 am, which meant that I had roughly 35 minutes of peace and quiet before students were allowed in the building. At about 7:25 I heard some crying from the hallway just outside my classroom door. I discovered a girl standing in front of her open locker, sobbing uncontrollably. This girl was in my first hour class, and I asked her what was going on. She was barely able to communicate through sobs that some of the kids on the bus that morning had been making fun of her and said some pretty mean and hurtful things to her about her appearance. I had flashbacks to my own childhood, in which a lot of my classmates had made some pretty mean comments about my big ears and about that one time I had been mean to a classmate. I knew her pain all too well. I invited her to come into my classroom to get herself together before everyone else arrived. I handed her a box of tissues and kept on getting ready for the lab we were going to do that day in class. After a few minutes her sobs became more sighs, but she was still obviously hurting. As a young teacher I thought that I was ready and able to take on whatever challenges I would face in the classroom. I was wrong. There had been nothing in my own education at the University of Wisconsin-Madison to prepare me for this particular moment. Not knowing what else to do, I sat on a chair near her and asked her if she wanted to talk about it. She didn’t. Yet, when I looked into her eyes I could see that she was barely keeping it together, the tears still welling up. I couldn’t just let this girl suffer like this. What was I supposed to do? In that moment a bunch of thoughts whizzed through my head. It was obvious that this girl needed a hug, some reassurance, some humanity. But, if I gave her a hug I could get fired for “inappropriate contact” with a student, right? Or maybe get hauled off to jail? Bye-bye, teaching career. Bye-bye wife and young daughter. Seriously, those thoughts were going through my mind at that moment. Instead, I looked at this girl as someone’s daughter who needed some help to get through her own teenage crisis. So, I pushed the negative thoughts aside and mustered as much courage as I could as I asked her, “Could I give you a hug?”. She nodded and we embraced. At that time my own daughter was only two so I had never known what it was like for a young adult to literally melt into your embrace. After what seemed like several minutes but was actually probably only 15-30 seconds she took a big breath and sat down again. Only, she looked at me with what appeared to be a slight smile, a marked change from moments before. She excused herself to the bathroom to wash off her face and returned a few minutes later all ready for the school day to begin. I was glad that she was feeling so much better but still very nervous about what had just happened. Had I crossed some line by giving her a hug? I reassured myself that I had done nothing wrong by showing her some kindness and compassion in her time of need. I was actually feeling pretty good about it when I received a voice mail from her mother the next day. I nervously played the message from her and was greatly relieved when she thanked me for being so kind and understanding. It put my mind at ease that I had done the right thing. A few weeks later I met her parents in person at Parent-Teacher Conferences. The first thing that they brought up was this specific incident and thanked me again for my thoughtful actions. As we talked more I learned that their daughter’s Bat Mitzvah was coming up in a few weeks. Having been raised in a Christian home I had no idea of the amount of preparation by the child that goes into such an event. 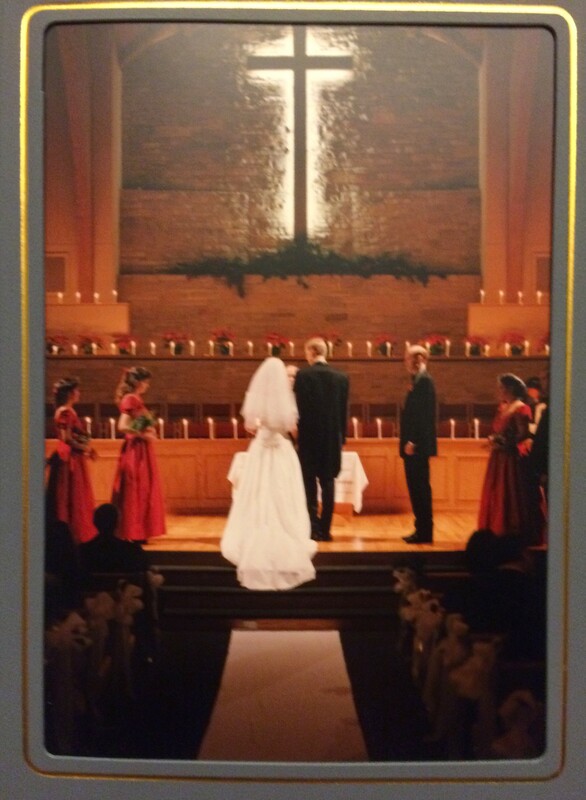 They graciously extended an invitation for my wife and I to attend the ceremony. It was an eye-opening opportunity for me to learn more about my students and another culture that I doubt would have happened if not for “the hug”. This particular experience perfectly illustrated his point for me. I had been told by some older, more veteran teachers, that I was being too “real” with my students. That they would only respect me if I kept them at arm’s length. Don’t ever let them really know you. Yet, that wasn’t me at all. One of the things that I loved about teaching was the relationships that I could build with my students over the course of the year. I truly wanted to make a difference in their lives and I felt that would only happen if I showed them my humanity; showed them that I cared. Finally, while I believe that “the hug” was a defining moment in my teaching career, I know that it has also impacted my career as a Stay At Home Dad. I try to show my kids how much I care every single day. 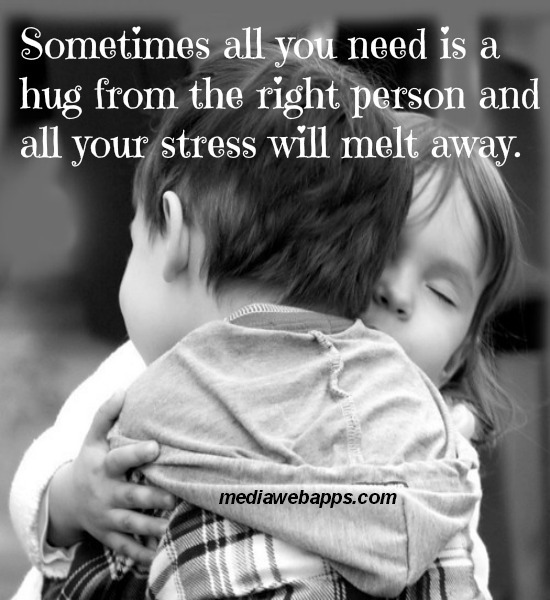 Sometimes it’s a hug, sometimes an encouraging word, sometimes just a safe place to let them vent. All I know is the importance of being real with them. I’ve worked hard to establish a trust and rapport with them so that they will feel comfortable with bringing big stuff to me for us to deal with. Together. Today is Mother’s Day and I didn’t get you anything. Not even a card. And I’m not sorry. It was suggested that I order some flowers for you but I couldn’t do that after what I wrote just a few days ago without being a complete hypocrite. Mother’s Day isn’t about giving your mom flowers or jewelry any more than Father’s Day is about giving your dad a new tie or tool. I’ve come to realize it’s about showing genuine appreciation in honoring someone who has loved me since before I was born and continues to love and support me to this day. As a child I don’t think I ever really appreciated the hard work and sacrifices you made in order to make my childhood so enjoyable and positive. As the stay at home parent these last 13 years I’ve really grown to understand the enormity of what you did for us. I know it wasn’t always easy or enjoyable for you but I loved having you as my mom. I know that you sacrificed your career to be at home. Thank you for providing the loving environment which allowed us kids to grow and thrive. I can’t speak for my siblings, but I’m glad that you were home with us. While I’m pretty sure you weren’t perfect, I can’t remember a time where you ever lost your patience with us or even yelled at us. And I’m certain that we were angels pretty challenging at times. Remember that time I got Dave and Liz to race around the house but had them crash into each other on purpose? Or when you were in the kitchen and we kids were in the living room slapping our own legs and chests so loudly that you came in ready to punish us for fighting only to find us laughing? Yeah. Sorry. But thanks for being patient with us. Because of you I have a treasure trove of amazing childhood stories to tell my own kids. Possibly my favorite childhood memory is coming home from school to find the aroma of freshly-baked chocolate chip cookies wafting through the air the moment I opened the front door. I’d set my backpack down and hurry into the kitchen to give you a hug before scarfing down a dozen, give or take. 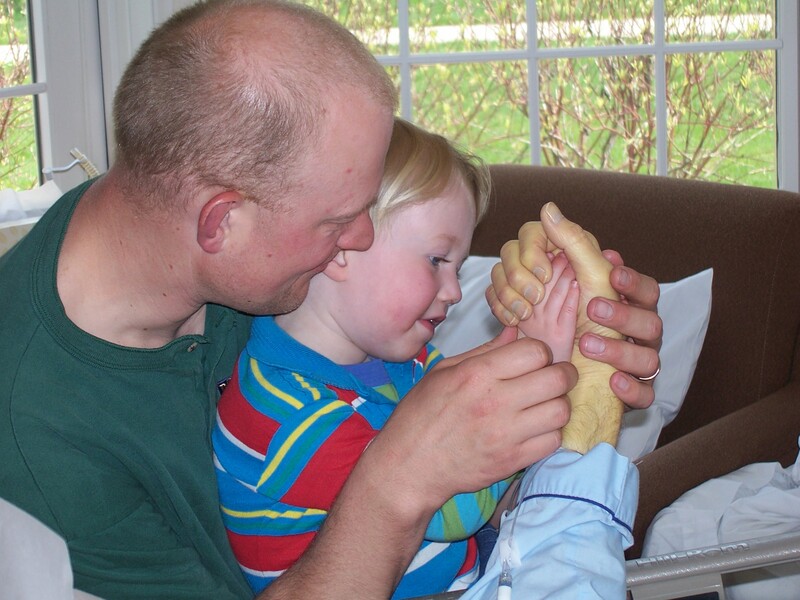 To this day I think of you every time I make cookies with and for my kids. I hope that they will have positive cookie memories like I do. Even if sometimes I recount the time that my 4 year old brother put some of his chewed gum inside a cookie dough ball and I ate the baked result. Good times. I always knew that you loved me and were proud of me. I have a distinct memory of you telling me in church one Sunday when I was maybe 10-11 that you liked my singing. Ever since that day, no matter what anyone else might say about my voice, I feel the confidence of your words. Thank you for that boost of confidence, Mom. You were so encouraging in whatever I wanted to do. When Dad didn’t see the merit in my desire to become a teacher you encouraged me to follow my heart, saying that you could see how I’d make a great teacher, citing the example of how I taught my younger sister how to throw a football with a tight spiral. A few years later you were one of my biggest supporters in my decision to quit teaching and become a Stay At Home Dad. Thank you for believing in me when most others doubted. Finally, thank you, Mom, for being my friend. As a child I never really appreciated you as a person other than “mom”. As an adult and parent myself I have a different perspective. Yes, you’re (obviously) still my mother, but that’s not all. You’re my friend. I love doing stuff with you. 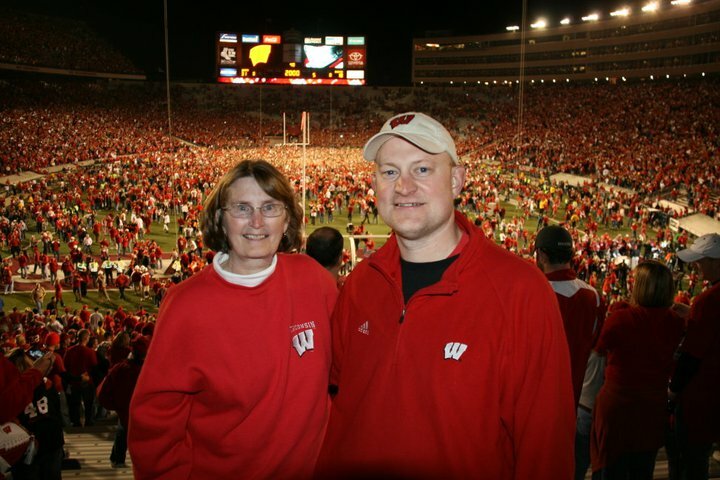 I’m glad that we were able to go to a couple of incredible Wisconsin Badgers football games together. Remember that win against #1 ranked Ohio State and how we got to go on the field after the win? Or watching Russell Wilson lead a 4th quarter comeback as Wisconsin won the first Big Ten Championship in 2011? Those big games and wonderful memories associated with them pale in comparison to the many phone calls and in person visits we’ve shared over the years. 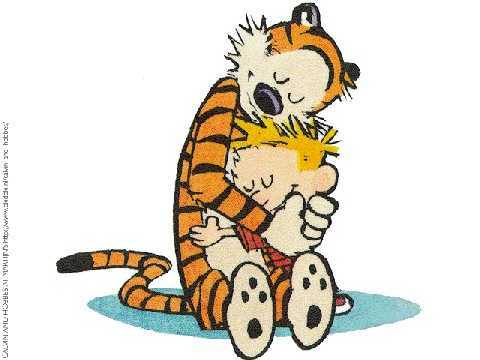 Going to games and other places or events are nice, but a true relationship and friendship is so much more valuable. Thank you for all of your advice, encouragement, love and support over the years. Even though we’re separated by almost 2,000 miles I don’t know if I’ve ever felt closer to you, Mom. Thanks for all you’ve done for me. I love you. I hope you’re not upset about a lack of card.